SEPTEMBER 2008 -- We are so happy to announce that Hillstown Junior Grange #89 has been reactivated. I had the pleasure of installing their officers in June. Jr. Deputy of Quinebaug Pomona #2, Tom Perry and his wife Debby assisted me. It was a terrific night. Connecticut State Grange Secretary, Edie Scholl played the piano. Jr. Deputy of East Central Pomona #3 Helene Forrest and her daughter Michelle DeDominicis will be the leaders. They have already entered items at Let’s Celebrate Day and won prizes. Welcome to all. 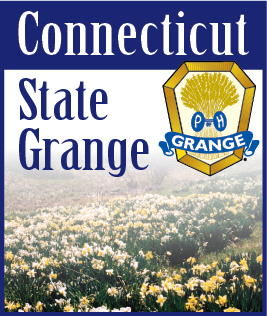 I want to remind all the Juniors to enter the contests for State Grange Session. Also remember there are contests for National. Check with your Jr. Leaders to see what you can enter.